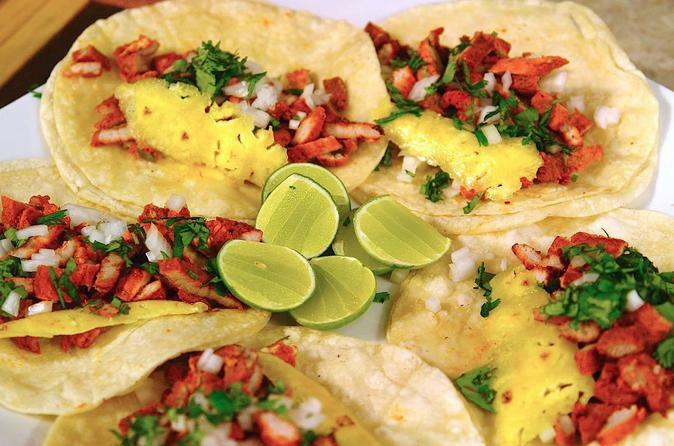 Enjoy a great Mexican Typical Mexican Dinner with the best "Tacos al Pastor" in Acapulco as you savor the best Mexican beers (2). Later head to "La Quebrada" to presence the best and most iconic Acapulco Spectacle the High Cliff Divers where you will presence and admire one Show and have two more drinks. Your friendly English-Spanish tour guide will pick you up right at the lobby or the entrance of your hotel in a fully air conditioned vehicle and will take you to one of the best "TAQUERIAS" of Acapulco where you will enjoy a selection of assorted TACOS AL PASTOR, the best in Town, joined by a couple of the best beers in Mexico (2). Afterwards you will be heading to La Quebrada, along the way your knowledgeable tour guide will be telling you everything there is to know about this iconic spectacle of Acapulco. After you have enjoyed TWO drinks while you see the show your guide will drive you back to your hotel.